Happy Monday everyone! If you didn’t see it on our Facebook page, we are offering a special deal for those brides who book with us between now and March 15. 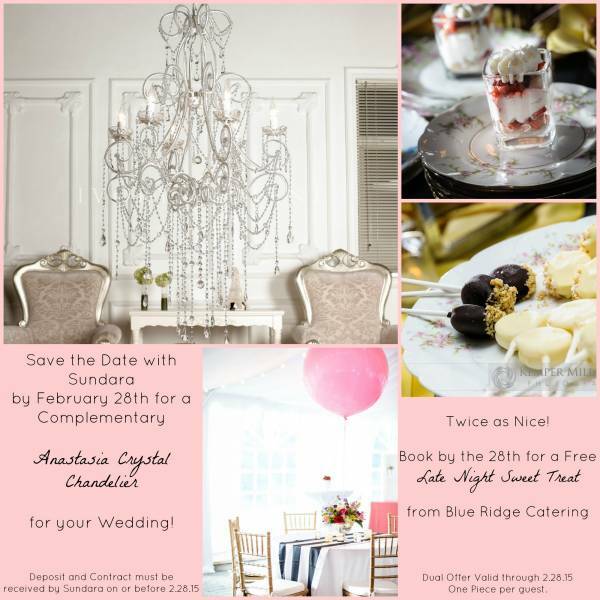 Blue Ridge Catering is offering a complimentary signature cocktail or champagne toast. Check out the video below for more information!